Recently, I had some friends over and they were telling me about how they store all of their photos and videos on their computer or phone and don’t even make regular local backups to USB disks or external hard drives. This is definitely risky, which is why I consider it essential to keep a set of all your pictures and videos online in the cloud. Storing photos and videos you take from a smartphone in the cloud is pretty straight-forward and there are a lot of options. For Android or iOS devices, you can use a variety of apps or built-in features to upload your photos and videos to the cloud, usually automatically. 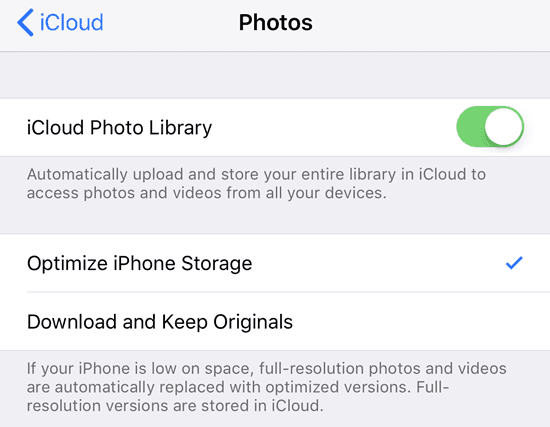 Apple has iCloud Photo Library and it works fairly well most of the time. I’ve been using it for several years now and haven’t run into any major issues. 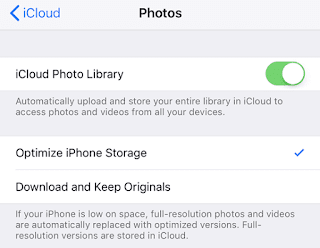 All you have to do is purchase some extra iCloud storage and your media will be uploaded automatically once the feature is enabled. For non-Apple users, there are quite a few options. The most popular choices here are Google Photos, Dropbox, OneDrive or Flickr. The Google Photos app is my favorite and I use it in addition to purchasing iCloud storage. 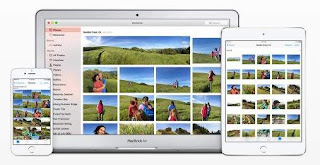 If you don’t use Google Photos or Picasa , etc., you can also use Dropbox. Dropbox is a service that basically lets you easily “drop” files into a bucket that is then available on any device or computer you have Dropbox installed on. And Dropbox has an app for every platform out there, including Linux, Blackberry, Kindle Fire, etc. Dropbox also has an automatic upload feature called Camera Upload, which does the exact same thing as the Google Photos app. Any picture you take will be automatically uploaded to your Dropbox account when you open the app. OneDrive also works in the same way. So these apps can basically take care of all your photos from any smartphone you own. They work on tablets, smartphones, desktops and on many other devices too. If you install the desktop program on your Mac or PC, it will then automatically sync all those photos and videos to the computer too, so you have an extra backup on your hard drive just in case. There are other apps like Facebook, but it doesn’t support automatic uploading of photos and videos. Still, I do upload photos to Facebook all the time, but I use Google Photos and Dropbox to store all my photos whereas I upload only a few good ones to Facebook. Facebook is not setup to be used as a backup of all your photos and videos. 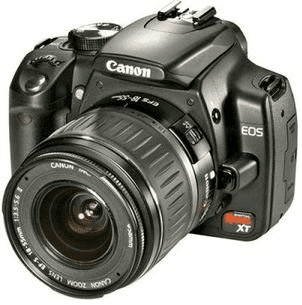 Getting photos from your digital camera to the cloud is a little different, but not very complicated either. You pretty much have all the same options as mentioned above. The only issue with SLRs is that the files can be huge, especially for things like 4K video. If you have a high-speed Internet connection that isn’t metered, then you can just drop all the files into one of your cloud synced folders and everything will be uploaded. If you are in the Apple ecosystem, you will need to use the Photos app in OS X to import the media into your iCloud Photo Library. However, large video files will quickly eat up your storage space.